A perfect item to recognize newly selected personel. There is room for up to three (3) lines of text or line number. The location of the AF Star is a perfect spot for unit logo, logo of your choice, or the AF Star. 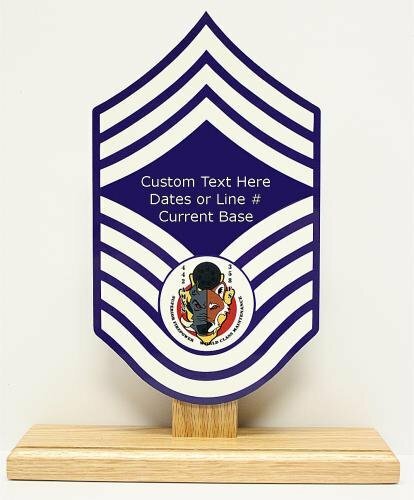 This item is avalible for all branches of the armed service.